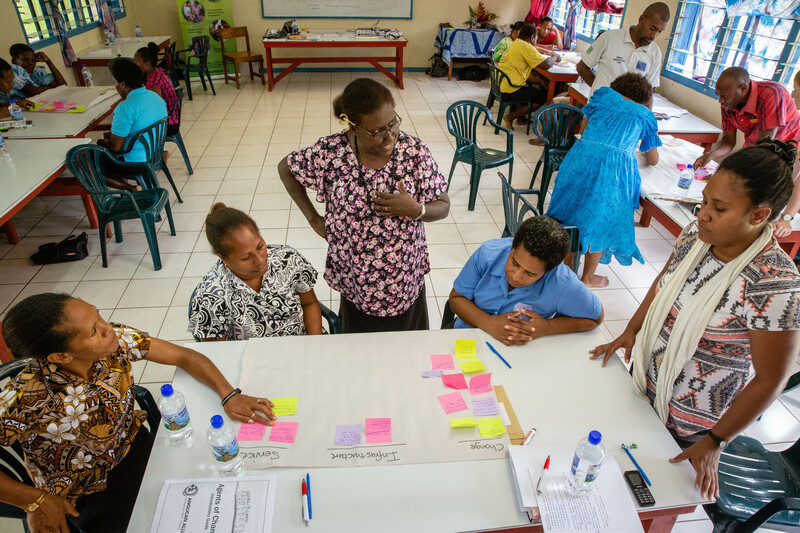 Fifteen participants from across Vanuatu have taken part in a launch workshop of Agents of Change, the Anglican Alliance’s course in asset-based community development. 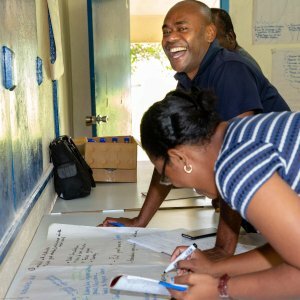 In many ways it felt the course was coming home: the South Pacific was one of the places where the original version of Agents of Change was trialled and one of its first graduates, Dennis Kabekabe (now Provincial Secretary of the Anglican Church of Papua New Guinea), played a key role in revising and reshaping the course. 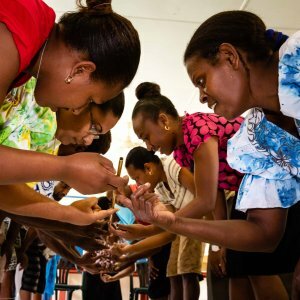 Elizabeth Perry, the Agents of Change programme manager, adds, “Vanuatu is where the original Agents of Change group I mentored as a volunteer was based and how I first became involved with the Anglican Alliance, so it was a particular joy to visit this beautiful country and facilitate the workshop”. 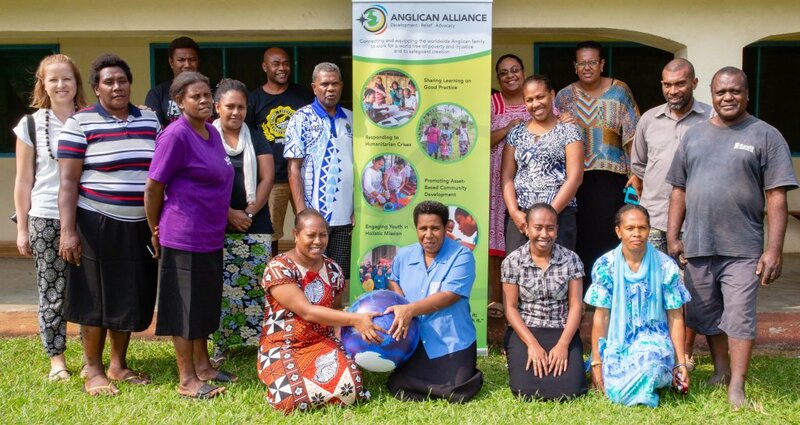 Staff from the Anglican Church of Melanesia’s (ACOM) development team were joined by colleagues from the Vanuatu Council of Churches and the Church of Christ. Over three and a half days the participants completed the first two modules of the 8-module course and were set up to work through module 3 on their own. 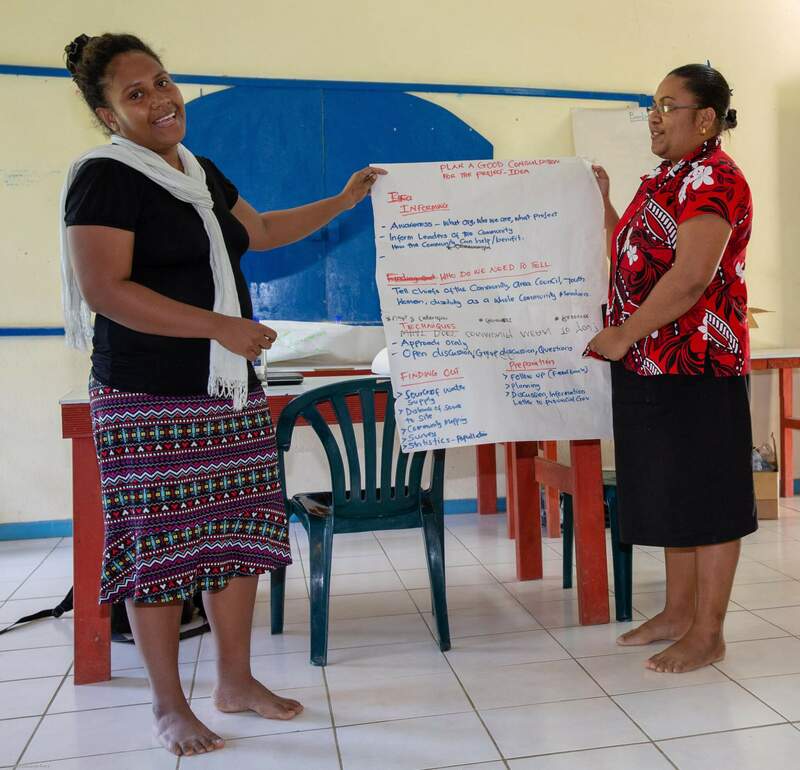 The workshop was co-facilitated by Tagolyn Kabekabe, the Anglican Alliance’s Pacific facilitator, who will mentor the group and return in November for further face-to-face delivery of the later modules. The workshop was made possible by the generous sponsorship of the Anglican Board of Mission, Australia. 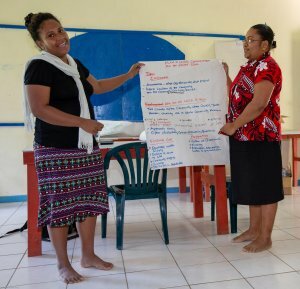 Below, a few of the participants reflect on the workshop and in the video Tagolyn talks about the value of Agents of Change to the Pacific region. 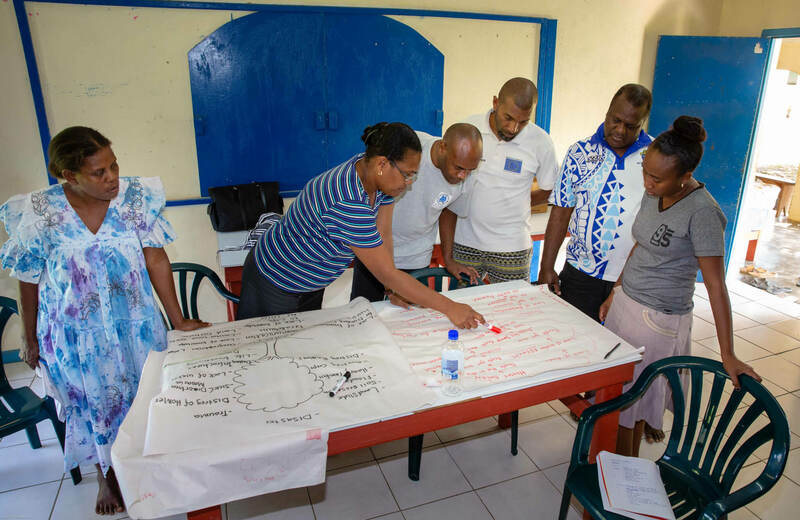 “I’ve learned a lot during this workshop [including] our Christian calling to serve the wider community and the Anglican Five Marks of Mission. I am very impressed on how this training / workshop’s modules are organised, including Bible verses. I have been heavily involved in community mapping while establishing DRR [Disaster Risk Reduction] programs but this workshop has given me the opportunity to refresh my understandings on community mapping. … This workshop has given me a clear way / process to work with my projects (ACOM Vanuatu DRR project).” Fisher Young. “I have not done any of the activities before; this is all new to me and I have found it very interesting. 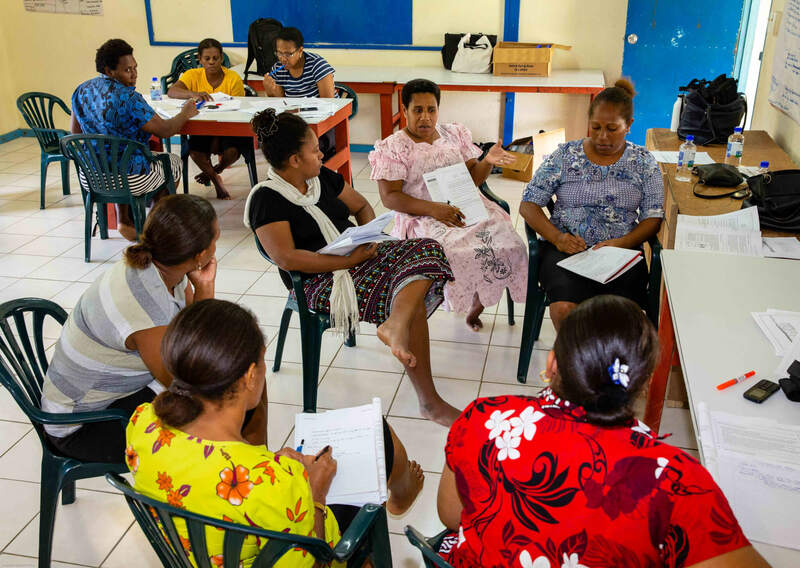 I will be able to use my learning in my current role as the program coordinator for the 7 church partners in Vanuatu [Vanuatu Christian Council].” Linda Keremoi-Elton. “The interesting thing that I’ve learned in this workshop is the problem tree – that if there is a problem, we always have to dig things down to the roots to find the exact cause of the problem and how to solve that particular problem”, Christiane Quill. 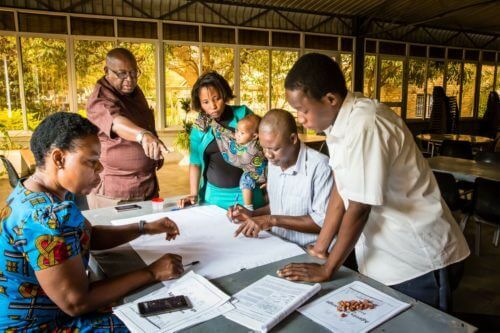 “I have gained new skills of talking, sharing ideas, discussing/managing and organizing. I will use this way – how to solve problems in my Literacy Program”, Hilda Garae.